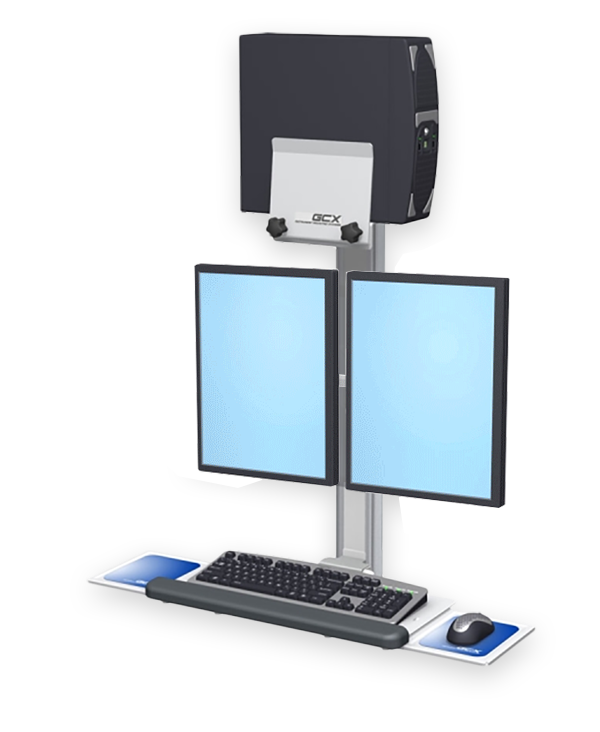 This is a fixed height PC, keyboard and dual display wall mounting solution. It is ideal for PACS in theatres and for EPR on wards. It also has infection control options to suit A&E. The keyboard folds up to save space and the whole system folds back into the wall when not in use. Both screens tilt with optional swivel & rotate for individual preferences. It is suitable for use on pendants, and allows simple manageability of a standard PC with cables managed in a side wall channel.